Here are some of the more impressive JD facts and statistics I’ve been able to dig up recently. As always, be sure to check back in the future as I will be updating this post as new and updated stats become available. With all the press ecommerce heavyweights Amazon and Alibaba get these days it is understandable if you aren’t overly familiar with China’s second-largest ecommerce site/platform, Jingdong (known outside of China as JD.com). Like Alibaba, JD.com went public last year, listing on the NASDAQ in the U.S. and has continue to grow pretty steadily since. JD.com is not on the same level as Amazon and Alibaba just yet, but they are quickly entering the conversation. 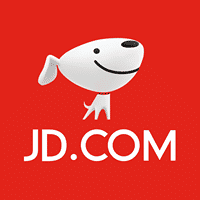 How many people shop on JD.com?